Welcome to Integer’s Technical News (ITN), the purpose of ITN is to educate and update our clients with the latest IT related news, some of the information will be important or topical and we hope to keep it light hearted. Integer IT are on the move. As highlighted in Integer IT news in December we are moving to our own new premises over the Easter weekend. 5/185 Lake Road, Port Macquarie, NSW 2444. Our new telephone system will have extra lines and its worth noting that if you leave a voicemail message, the audio file gets turned into an email so it will be picked up by the next available person so we shall never miss a call. 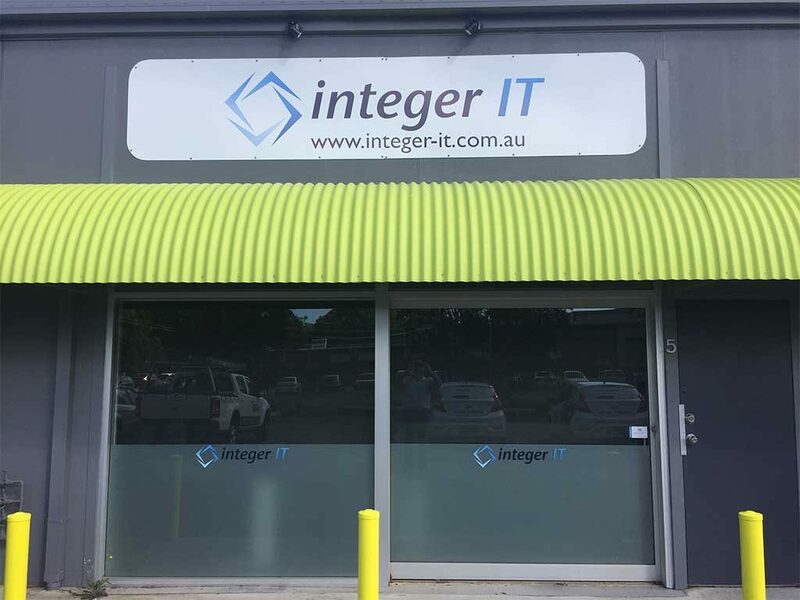 However, when raising support issues during the business week, and if you have internet connectivity, by far the best way to reach us is to email support@integer-it.com.au where you will receive an email confirmation that we have received your request for assistance. Since April 2017 Integer IT has invested in new technical support people as well as the latest software technology tools. This investment provides us with the opportunity to offer our clients an enhanced level for IT support and additional services both on and off site, all delivered via our new IT Helpdesk software. Our website has been update to reflect some of the new services. Unless you spend your time looking at Microsoft’s website for Spam news, and even then you may have missed it, they announced last year the following snippet: on November 1, 2016. This announcement impacts on premises Exchange environments and those clients who have Small Business Server installations. The filters remain supported in any Microsoft hosted platforms although not all clients wish to move their emails to the cloud and an Office 365 Mailbox. We have witnessed a huge increase in Spam from December 2016 on wards as the Microsoft service degraded and have in place SPAM filtering products already in use with our clients that are capturing over 4,000 items per site per day. Businesses are at risk through employee’s inadvertently clicking on SPAM emails which deliver a payload of ransomware or other damaging software code, it’s not just about having Anti-Virus as a safe guard. More information and a case study on Spam protection can be found on our website. During the last few weeks we have blocked malware within spam pretending to originate from Microsoft, ATO, Telstra, freight companies and numerous special offers from holiday companies. What is Proactive IT Managed Support? After Integer IT audits a client’s site we can deploy our Integer IT Support Application. This software tool provides us the ability to monitor the device it is installed onto and for us pre-set alert thresholds that automatically create a support ticket to us in the event that the thresholds are breached. The Support Application will also allow client to log tickets that automatically populates a support ticket in our helpdesk queue and provides a unique ticket reference number which our helpdesk will work through to conclusion, with notification of resolution set to the instigator of the ticket/support request. Server and Desktop maintenance, patch updates, back up utilities and Anti Virus are all deployed via the software which negates the requirement of being physically onsite to perform these tasks. We monitor the IT environment every 5minutes with updates and checks, 24/7, 365 days a year. On top of that we review the environment with you directly to discuss ongoing strategic objectives. The new website was launched in October to articulate our enhanced service offerings. Our vehicles have had a makeover and our employees have a new look, we hope you see more of us when out and about. During January/February 2018 will shall be moving to a new location at 5/185 Lake Road where we can expand our services and team with the extra space we need, more detail to follow when finalised. Q) How many software developers does it take to change a light bulb? Highlight of our week, we are geeks after all. One of our monitoring agents alerted us of unusual processor behaviour on a Proactive Managed Server at random times, completely consuming the service. On further investigation our helpdesk identified a hidden Bitcoin miner was active, it had been introduced to the network by an employee’s credentials being ‘phished’ thus providing access to the network. Q) Did it cost the client a fee to remove this malware? 1. Integer recommend you change your password every 3 months using an Alphanumeric mixture of capitals and numbers. To do this, when you are logged in, tap CONTROL/ALT/DELETE all at the same time and this will bring up a list which includes CHANGE PASSWORD. This is a domain password change so be very aware that mobile devices, ie) iPhone/iPad that receive emails may also need the same password updated to continue to receive emails. It will prompt you for the password if it is required.